sense but in everyday regular working of our line's passenger services. ( a ) Replaces GNR No. 229; see text. 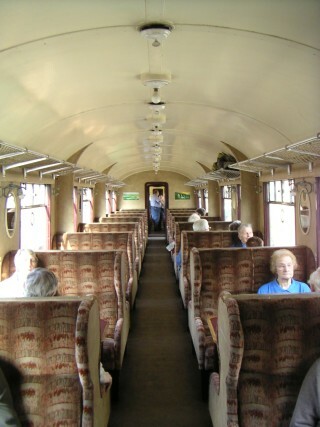 ( b ) Now modified to Diagram 186A, seating 46 plus four wheelchairs. 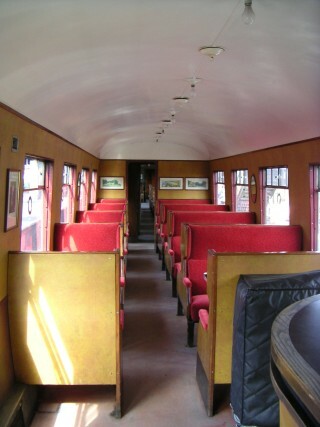 'emptiness' of a saloon nearly 50 ft in length is broken by arched fairings running from the saloon sides to the roof. one ton as against those with riveted underframes. 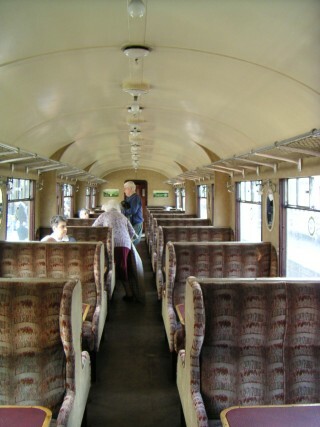 was in one of the two Retford/Doncaster trains. their keep’ for the SVR. 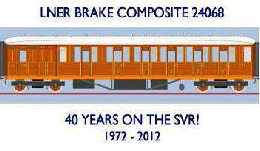 presence on the SVR for many years. 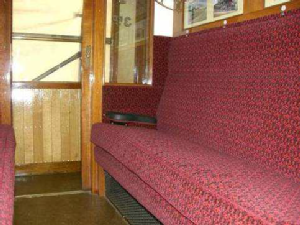 using redundant BR Mark 1 seating. decades of useful SVR service. See Also Carriage Survey Entry for 43600 and Carriage Survey Entry for 52255.
hauling the Teaks as she races up Eardington Bank with the 1620 service to Bridgnorth. 26th September 2009. 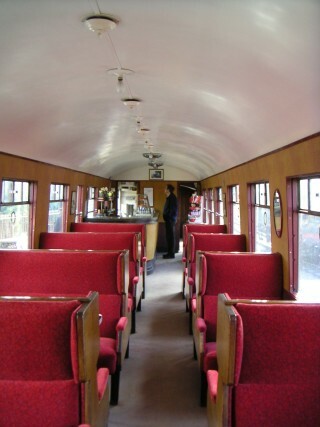 Rexine interior in art-deco style between 1936 and 1940. 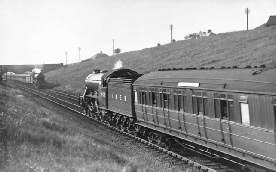 No.24068 belonged to the LNER's North Eastern section. 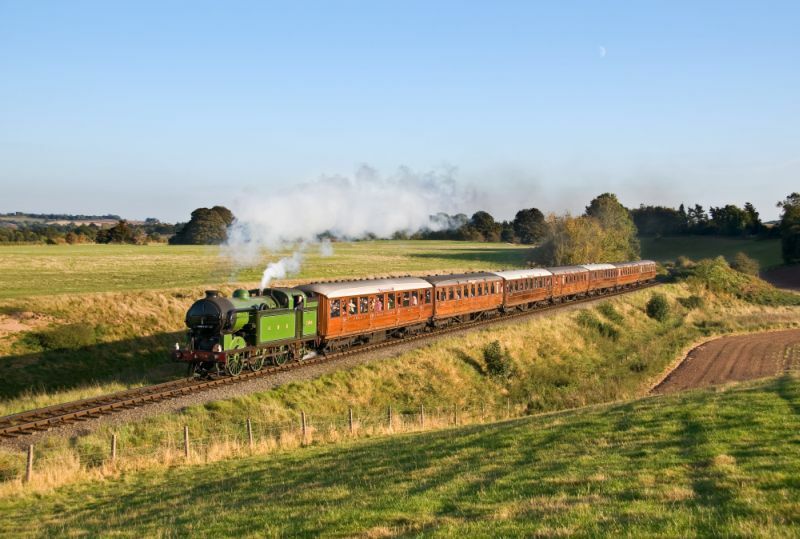 train with a correctly liveried apple green engine. 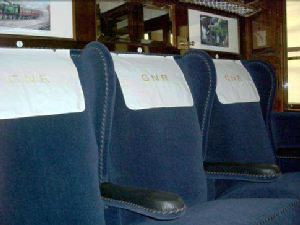 the K4 at various events and on photographers’ charters, forming a superb milestone in the LNER Fund's long task. 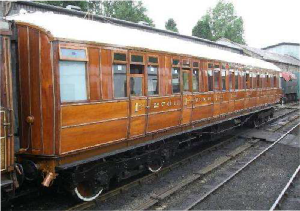 part of a six coach teak set to accompany the visiting ex-LNER B12 4-6-0 No. 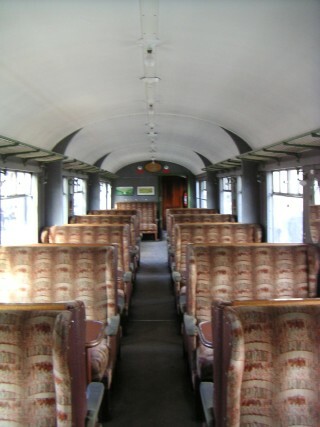 8572 from the North Norfolk Railway. and 70759 – see separate entries). See Also Carriage Survey Entry for 24068.
the Station Fund Shop, with the rest in use as a store. both for traffic reasons and for making best use of the Fund's available spares. fund-raising programme to pay for this costly project is still in place. 2013 at a cost of £23k. See ‘Can You Help?’ for details of the parts sponsorship scheme. 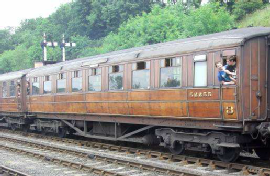 See Also Carriage Survey Entry for 70759.
longer than their combined ownership by the LNER and British Railways. 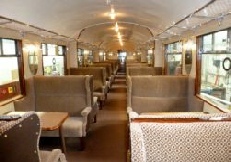 MARQUESS' and the teak train had recreated the atmosphere of the West Highland Line in a quite magical way. 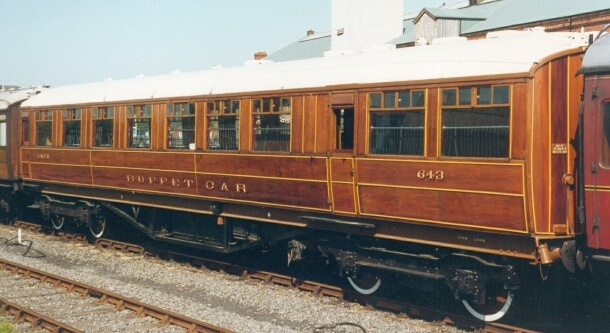 era – the first time with eight carriages. Blue with red wheels, full valences and gold leaf numbers. creation – recalling its days as Newcastle’s station pilot. 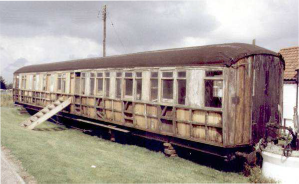 · An N2/J72 double-headed teak train. 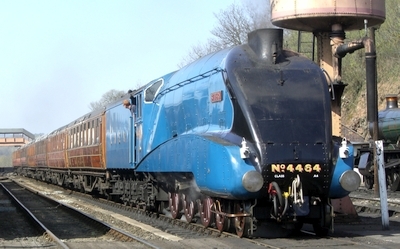 BITTERN looked truly magnificent in its correct Gresley LNER livery and valences over the wheels. since the early 1970s. Future generations will owe them a great debt of gratitude. re-enter public service in July magnificently restored to its former glories, These now include a small exhibition area. was marked by a plaque that 2701 now carries in its exhibition section. 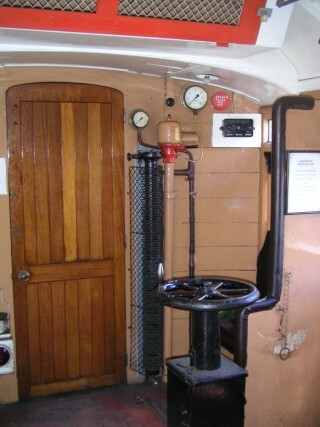 See Also Carriage Survey Entry for 2701.
a pantry compartment, kitchen and finally an attendant's lavatory. 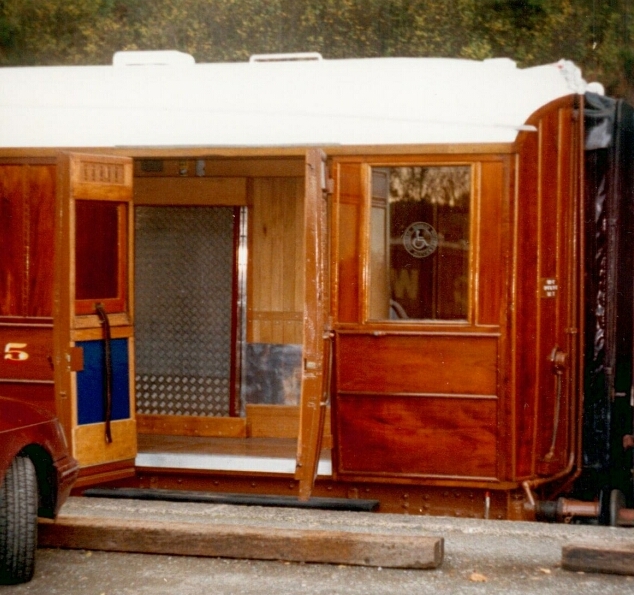 first-class saloon has quartered fiddle back veneered panels with mahogany trim and polished chrome metal fittings. length over buffers 63ft 6in. Kidderminster during the SVR's 2010 Autumn Gala. work, the project was nearing completion apart from the kitchen fittings. See Also Kitchen Composite No. 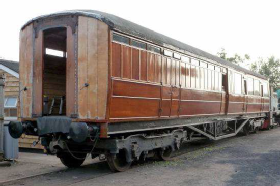 7960 web site and Carriage Survey Entry for 7960.
importantly, double doors were fitted to one side. wheelchair access – though not quite to the dimensions of a standard size disabled person's toilet. 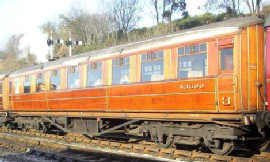 and green scheme applied to some of the original 'tourist' coaches. Seating presented a challenge - there was none! magnificence will appreciate the loving work that has gone into it. official launch on Good Friday of that year, by Sir William Lawrence. 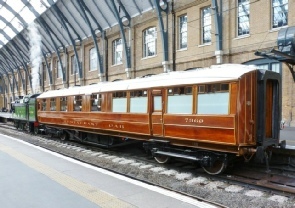 See Also Carriage Survey Entry for 24105. 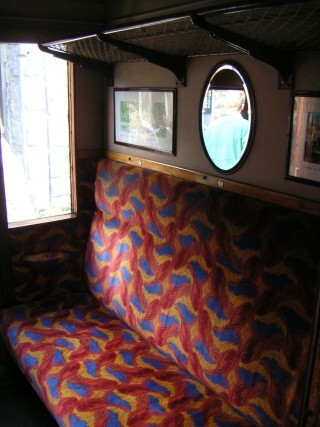 Scottish farm by a volunteer on his holiday and purchased for a fiver; this completed the pair for this coach. Attention turned to external beading and transfers, with No.43612 regaining its LNER identity after a 42 year absence. 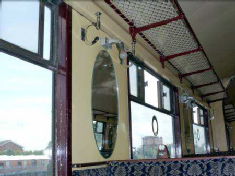 art-deco wall panel pictures of scenes on the SVR. stock up to the same standard. 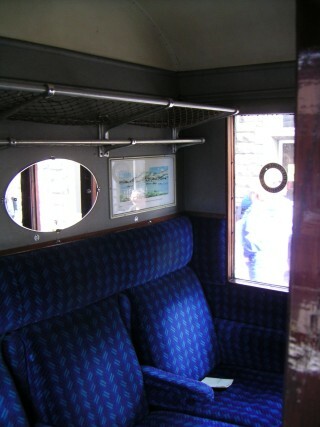 See Also Carriage Survey Entry for 43612.
suitable for fairly limited passenger service or as a museum exhibit. 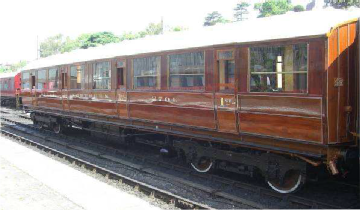 See Also Carriage Survey Entry for 229.
powering the fans and a large fridge. of this event and promptly had LBSCR stickers applied to all the vehicles! 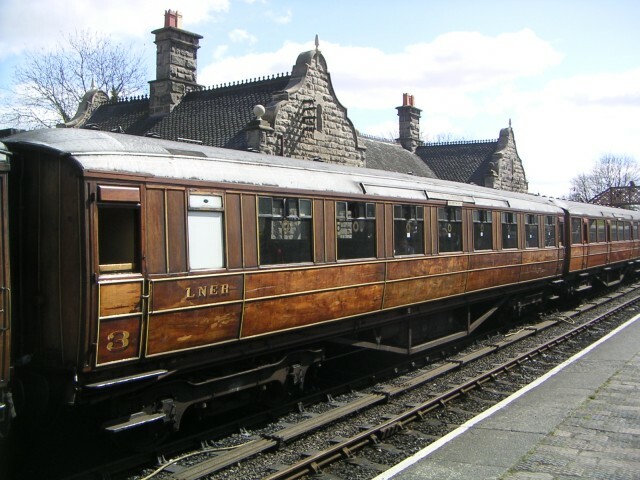 vehicle as a centrepiece to the SVR’s LNER set. unfortunately lost its distinctive features and is now no different from the rest. 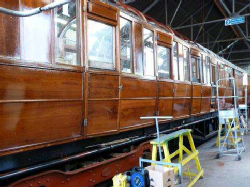 See Also Carriage Survey Entry for 643.